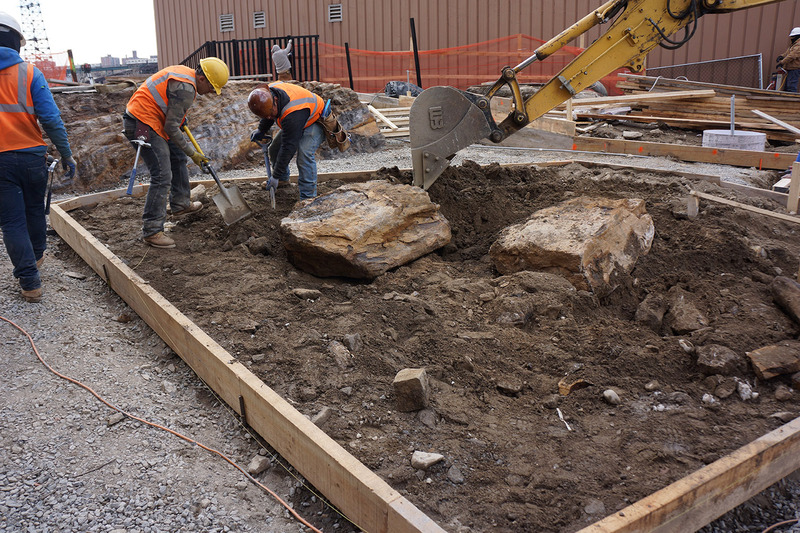 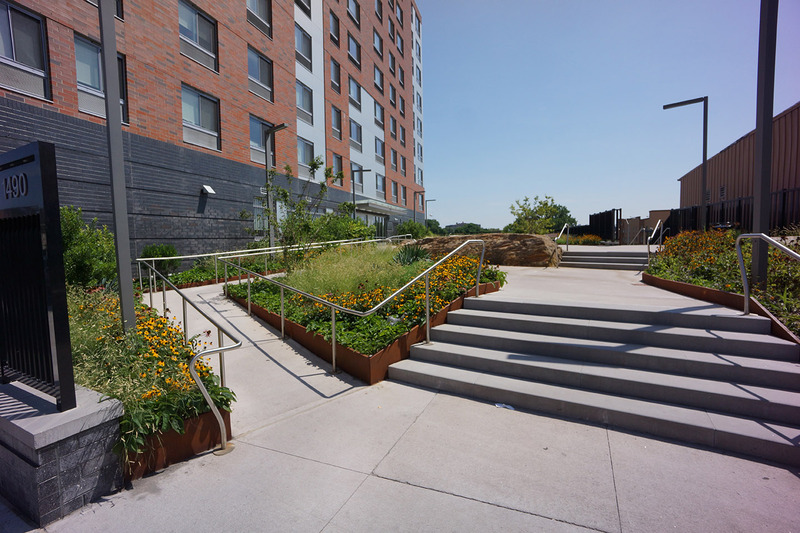 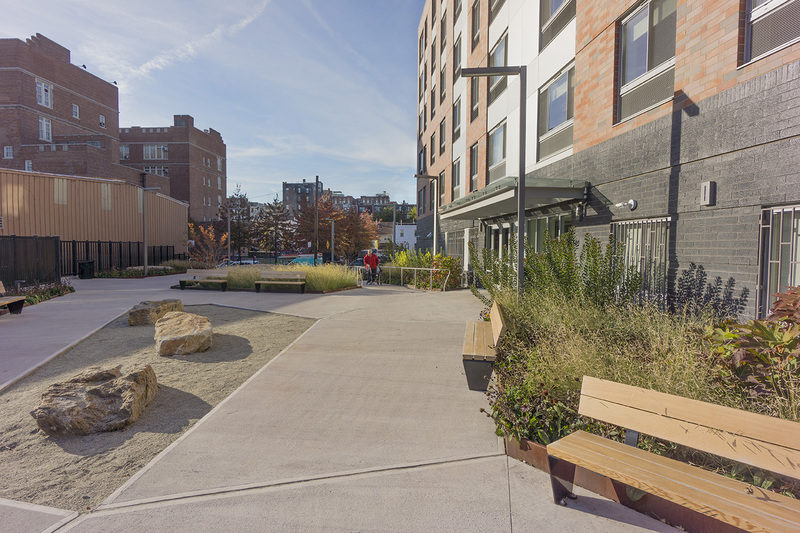 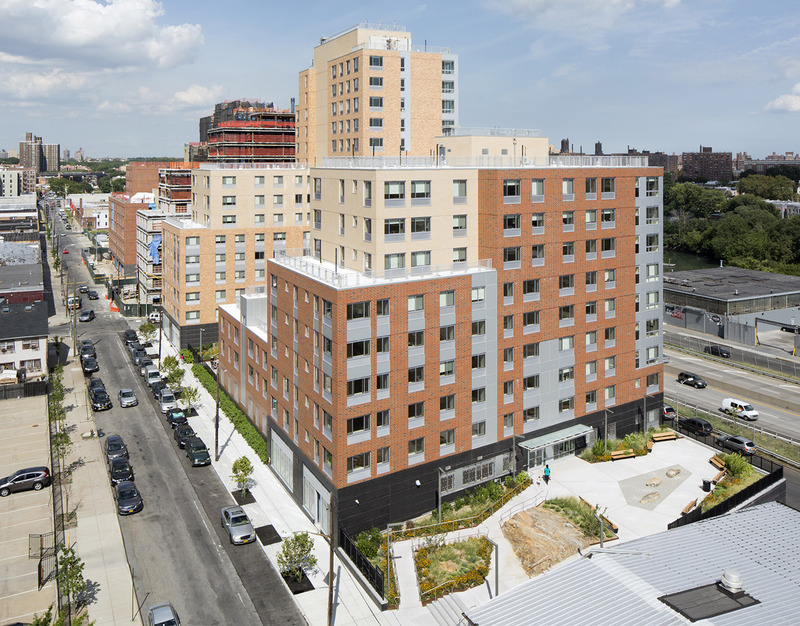 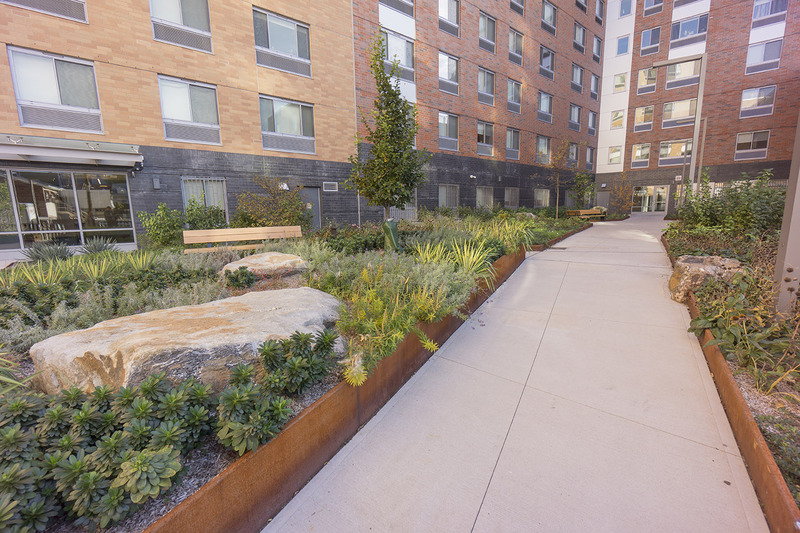 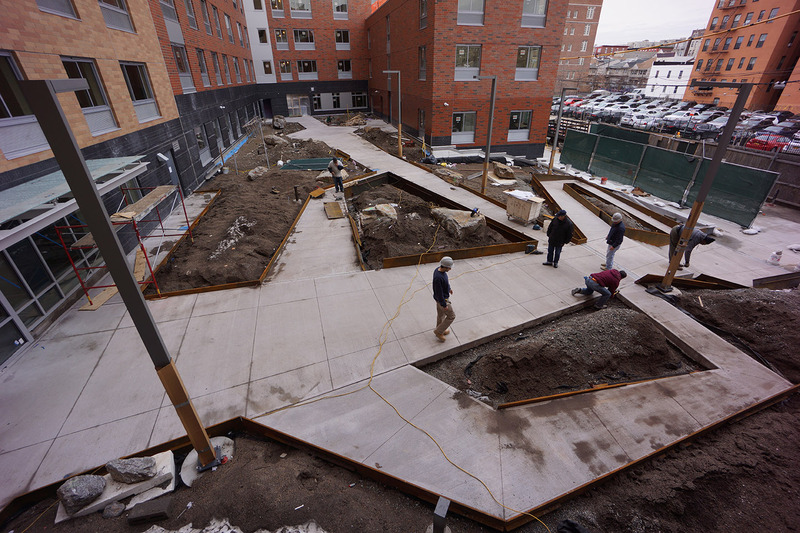 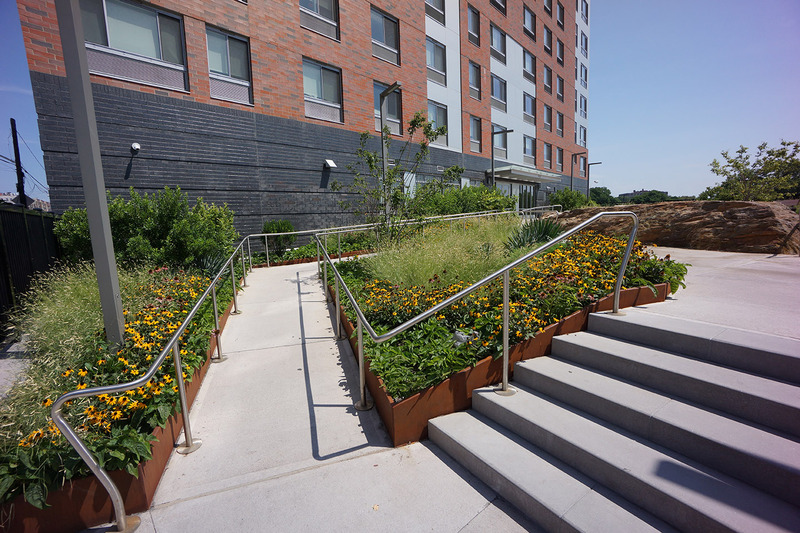 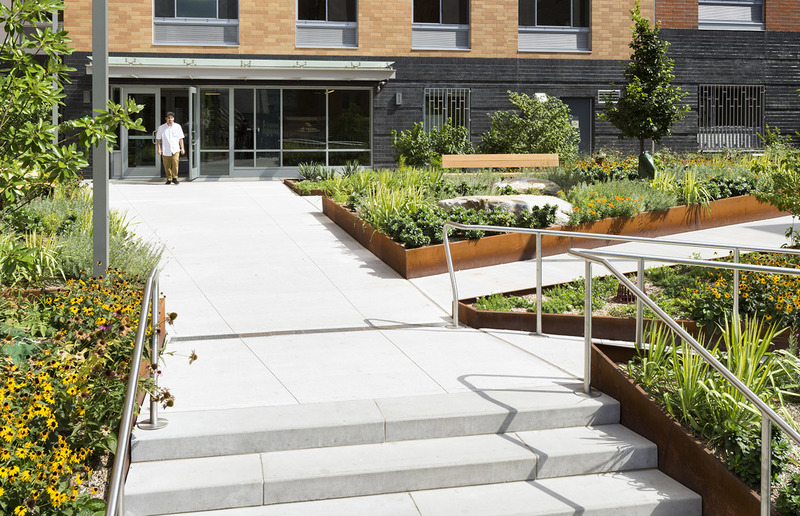 With 41,000 SF of outdoor space, the initial phase of the Compass Residences presents a unique opportunity to create a journey through local Bronx ecologies. 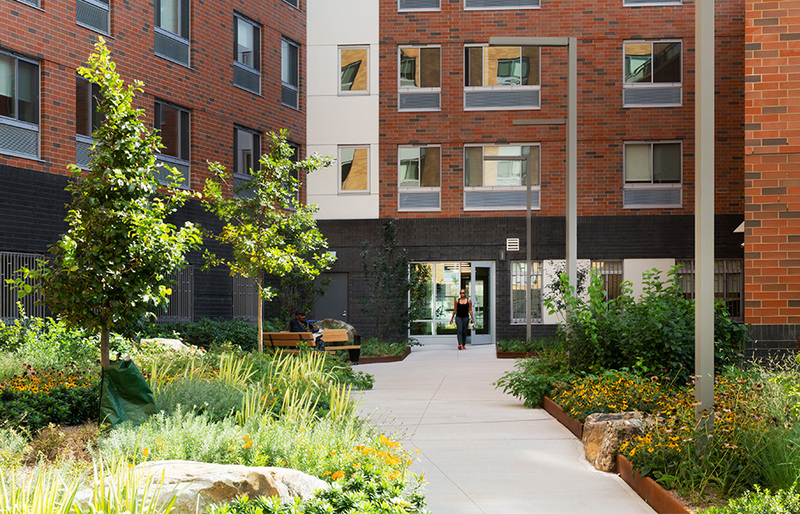 Taking up this challenge, Starr Whitehouse designers created two courtyards for the site, both split between at-grade and over-structure conditions. 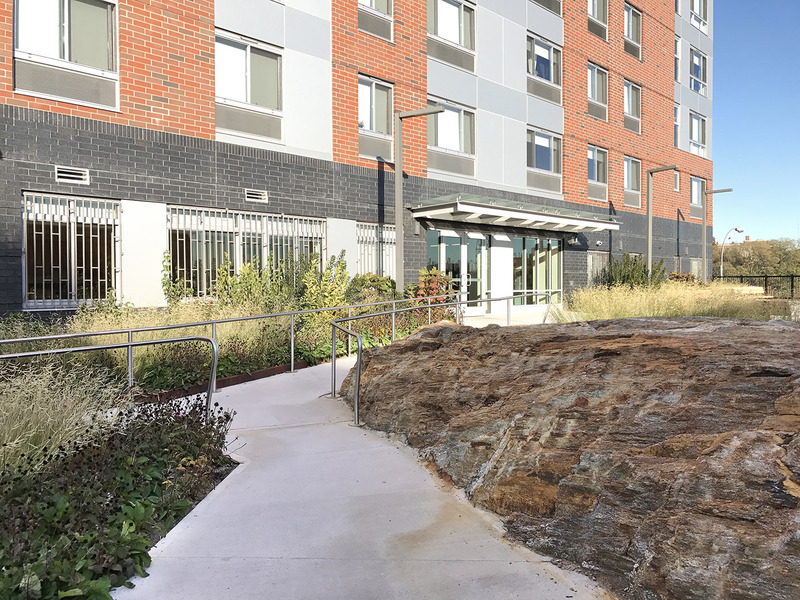 Sloping up from the street, the courtyards preserve and re-integrate the large, natural boulders that were excavated at the site, tracing a network of angular paths that echo the area’s rocky topography. 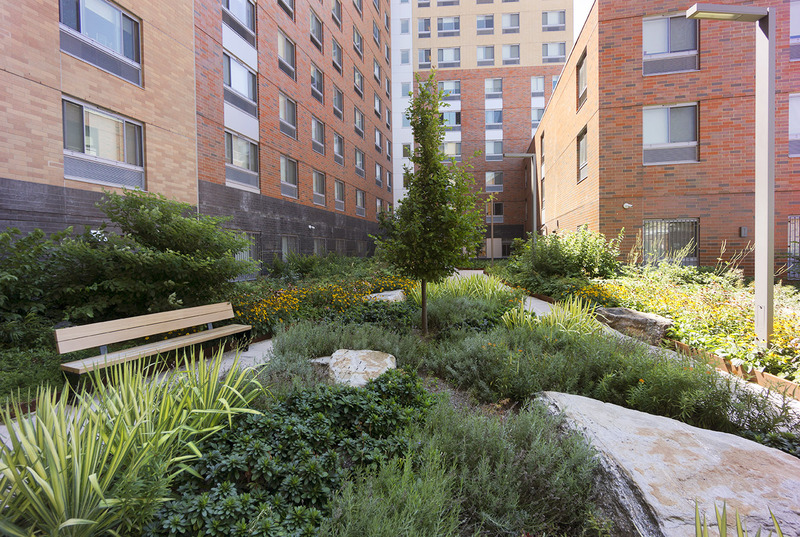 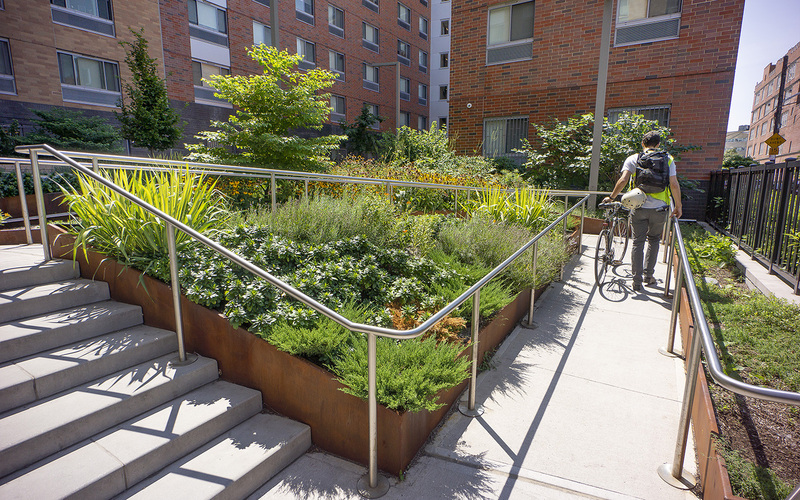 Shade-loving woodland plantings in the inner courtyard and a more open, upland clearing at the through-block terrace add to the sense of journey, evoking the high meadows and deep glens that once surrounded these outcroppings and integrating the new urban neighborhood with its natural history.